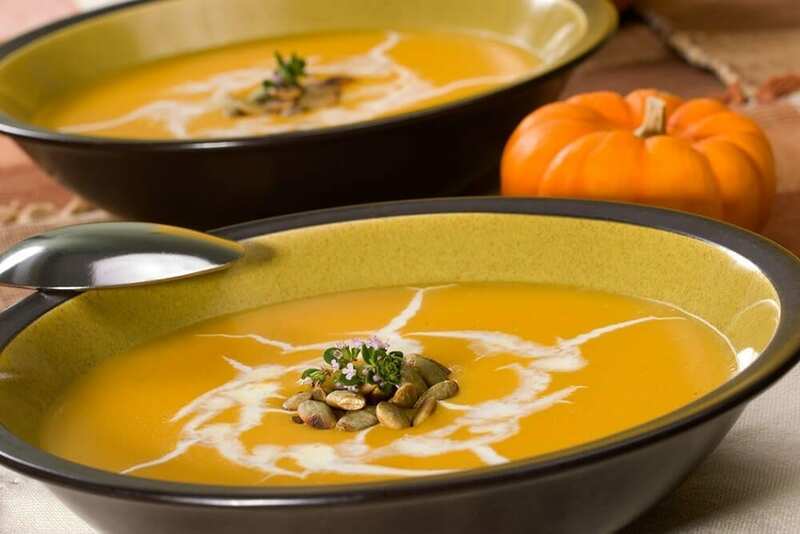 Cook with pumpkins: It's halloween and they're spookily good for you! Heading to the pumpkin patch is not just a fun day out with loved ones but a health statement! Pumpkin is seriously good for you, absolutely delicious, wonderfully versatile and it’s that time of year again. Yay! I know, the pumpkin spice everything can get a little annoying, but we’re talking about the real thing. That beautiful plump vegetable that served cinderella well in her time of need. Apart from transforming into magical princess carriages, pumpkin also has an impressive nutritional content matching the nutritional benefits of foods such as kale, chia seeds, broccoli, flaxseeds and pomegranate. Your eyes: High in beta-carotene (which is what gives carrots and pumpkins that vibrant orange colour) is packed with antioxidants and prevents vision from degrading. Skin, hair and nails: The beta-carotene also promotes healthy hair and nail growth. Collagen, vitamin E and vitamin C renew the skin, maintaining it’s plumpness and elasticity which gives a youthful appearance and glow. Vitamin A (retinol) then acts as a shield for your skin, protecting it against the damage of free radicals, promoting fast healing and improving skin tone. Energy Boost: Full of iron, an immunity strengthening mineral which is responsible for ensuring oxygen is transported sufficiently to each and every cell in the body. A diet high in naturally occurring iron will ward off illness, fight fatigue and supply you with long lasting energy, a clear mind and increased motivation. Improved Digestion: Rich in fibre which aids digestion, prevents the buildup of toxins in the gut and bowel and reduces the risk of heart disease. On average, most people don’t even reach the daily recommended intake of fibre which is 21-28 grams, so be sure you’re not one of them! Better Quality Sleep: Raw pumpkin seeds are packed with tryptophan, an amino acid that supports serotonin production. Serotonin is a neurotransmitter which can affect mood and social behaviour, appetite and digestion, sleep, memory and sexual desire. Get the best out of your pumpkin kitchen extravaganzas and dapple in the savoury, comforting, zesty and sweet. In slow cooker, combine pumpkin, onion, ginger, garlic and red chili pepper. Pour in coconut milk, broth and fish sauce. Using immersion blender, purée soup until smooth. Stir in cilantro, lime juice and brown sugar. For vegetarians: Substitute soy sauce for the fish sauce to make your soup vegetarian. To make a pumpkin puree cut pumpkin in pieces, peel it from skin and bake in 150*C for about 25 minutes. Then blend it or place in a bowl and smash like I did. 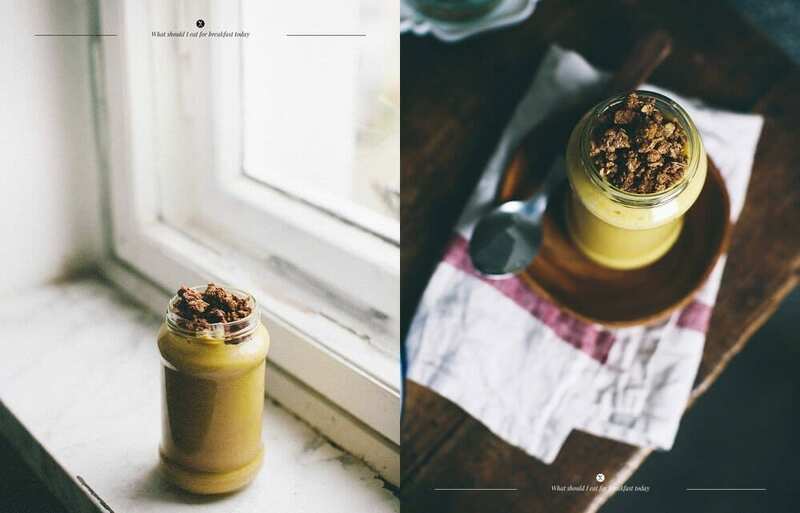 When it cools, place puree in blender, add banana, apple, milk, honey and spices. Blend it well. Serve with granola on top. Creators comments: I’m telling you, it is too easy and too tasty not to try. With all this pumpkin around you’ll surely have a pumpkin puree left overs. If you make this shake once, I am sure you’ll make it the second time very soon. This shake will make you happy. Pre-heat oven to 200ºC (400°F). Quarter and then carefully peel and seed the pumpkin. Cut into chunky 2″ cubes. Place pumpkin into a large & sturdy roasting tray. 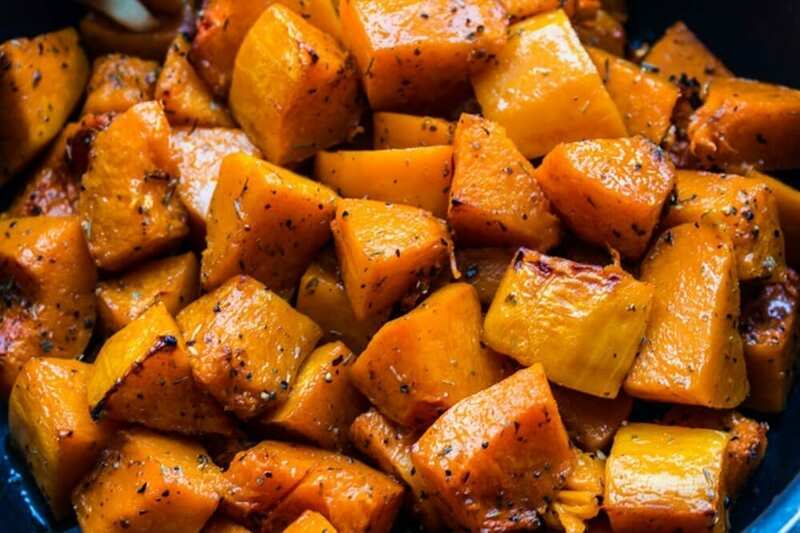 Add the olive oil, salt, pepper & cumin – mix well, making sure that all the pumpkin pieces are coated in olive oil. Serve with a main meal as the vegetable dish OR freeze for future savoury pumpkin recipes. 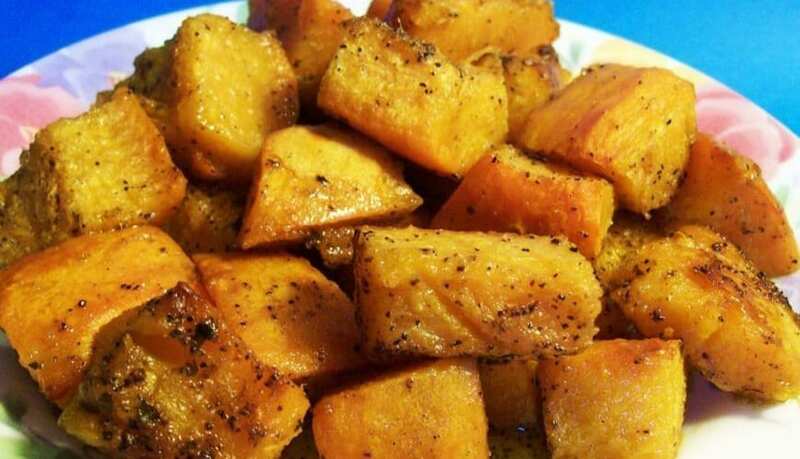 Roasted pumpkin is great in pastas or in salads with thick balsamic vinaigrette. Bake in the preheated oven, foil side up for 1 hour, or until tender. Whisk together the flour and salt in a medium bowl. Cut in the butter using a pastry cutter or the back of a fork until the mixture resembles crumbs. Whisk together the milk and maple syrup, and drizzle over the flour mixture. Whisk together the vinegar and 1 teaspoon of water, and drizzle over the flour mixture. Mix until all of those liquid ingredients have been incorporated. Continue to add water 1 teaspoon at a time and mixing until completely incorporated until the mixture forms a dough. Transfer the dough to the centre of a large sheet of plastic wrap, and shape into a 4”-wide circle. Cover the top with another large sheet of plastic wrap. Chill the dough for at least 30 minutes. While the dough chills, prepare the filling. Stir together the pumpkin purée and Greek yogurt in a large bowl. In a separate smaller bowl, whisk together the milk and cornstarch. Stir the milk mixture into the pumpkin mixture. Add the cinnamon, nutmeg, ginger, salt, and pepper, stirring until fully incorporated. Stir in the maple syrup, vanilla, and vanilla crème stevia. Gradually stir in the egg whites until fully incorporated. Preheat the oven to 375°F (190ºC), and coat a 9”-round pie plate with nonstick cooking spray. Line the centre of the pie with foil, ensure that the foil is fully touching the dough all the way around the steep sides of the pie plate, and pour pie weights or uncooked rice into the centre. Bake the crust at 375°F (190ºC) for 15 minutes. Carefully remove the foil and pie weights or rice. Pour the filling into the centre of the par-baked crust. Bake the pie at 350°F (176ºC) for an additional 35-40 minutes or until the centre barely jiggles when lightly shaken. Cool completely to room temperature; then chill the pie set for an additional 8 hours before serving. Place a glass or metal bowl and the electric beater attachment in the freezer for 10 minutes. Remove from the freezer. Add the heavy cream, and beat for 2-3 minutes or until it reaches the soft peak stage. Add the Greek yogurt and vanilla crème stevia, and beat for an additional 1-2 minutes or until it reaches the stiff peak stage. Cover and refrigerate until ready to serve the pie. Top each slice with a dollop of whipped cream. Whole wheat pastry flour, regular whole wheat flour, or all-purpose flour may be substituted for the white whole wheat flour. Any milk may be substituted for the nonfat milk. Honey or agave may be substituted for the maple syrup; however, maple syrup produces the best taste.